Microsoft’s Kinect can recognize your voice and face. “Big deal!” says Sony. The PlayStation 4 will be able to recognize your fingerprints, irises, and DNA in addition to your mug and pipes. Based on new Sony patents, the company is going to make user identification a whole lot more complex. A new Sony Computer Entertainment patent titled “Process and Apparatus for Automatically Identifying User of Consumer Electronics” was published on Thursday, and PlayStation Lifestyle detailed the contents in a new report. The technology will use biometric information to allow access to online accounts and even specific devices like a game console. 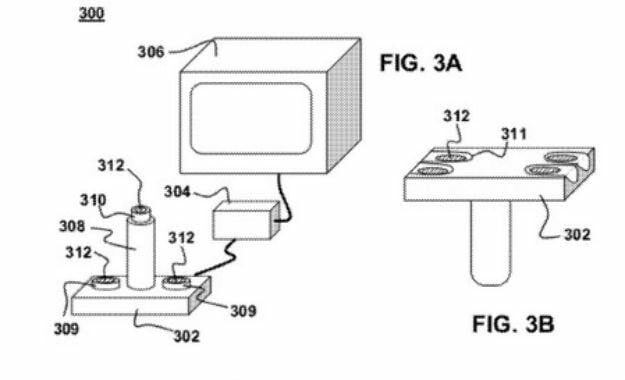 “[Suitable] biometric sensors include fingerprint sensors, hand sensors, face recognition systems, iris scanners retinal scanners, voice pattern analyzers, and DNA analyzers.” The images in the patent show diagrams of game controllers, mobile phones, and a PC mouse where the buttons on each are actually sensors compiling the data. The purpose of the technology described is manifold. First is user protection. Any saved sensitive information—particularly credit card details like those stolen during the PlayStation Network hack in 2011—would be protected in a device that could only be biologically activated by the owner. The second purpose is anti-piracy. The technology ensures that only one account on a given device can access paid for content. If that isn’t insidious enough, the patent also describes how the tech can be used to better target users with tailored advertising. It’s similar to the abilities of the Kinect as shown off in early promotional videos of the device when it was still called Project Natal, only far more terrifying in their physical invasiveness. There have been many rumors about the restrictions Sony will place on its next PlayStation. Some rumors suggest that Sony will even attempt to block the use of used games on the device. Tying a game to someone’s DNA would certainly do the trick.